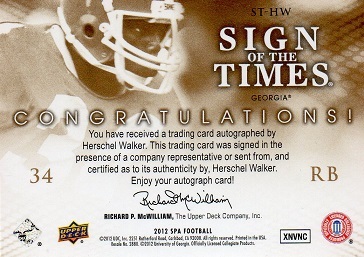 One of, I think, the best looking autographed cards in the Herschel Hoard. I had a chance to add the regular 2012 Sign of the Times card some months back, but I waited too long and lost out. So here is the gold version of the base card. Even better, because it's serial numbered to just 10. 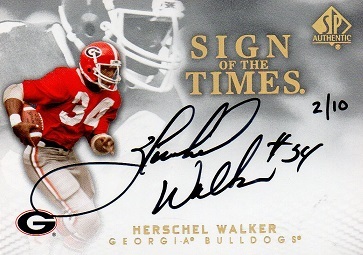 This example, as can be seen on the card front, is #2. Welcome aboard!